Downhearted, sorrowful, desolate, unhappy, what else am I missing? Isn’t this how you feel whenever you find out you just got fewer quality headphones and it can’t perform to your expectation? You are not the only one to have felt this way. I have a significant number of headphones from different brands lying waste inside my desk with nothing to do with them. I bet you can’t be discouraged as have been in past times. But the story changed the very moment I discovered the best way and essential things to look out for when buying headphones. Of course, returning the headphones might be the right choice. Sometimes not everyone can go through the stress. Don’t you think it is better to get things done without the need to return? Therefore, let’s consider some things you need to know before you buy. You wonder why we choose to start with a budget, right? We are quite sure you must have read a lot of posts that give reference to budget as an essential thing to consider. We choose to start with it because it indeed helps you reach your goal. The budget you have determines that which exactly you get. There are different prices for headphones, and it shows precisely their value and quality. Quality headphones are expensive, and they have lots of features that low price headphones don’t have. And have high-quality materials, which affects the sound quality. There are different types of headphones on the market for you to choose from. Let’s run through the list. Over the ear headphones are also known as around the ear. They are the type of headphones you will love to have based on your preference. It features ear cups or cushions around the ear. That is to ensure that it is comfortable and it covers the entire ear. Most people prefer over ear because it is comfy and it covers the entire ear. Even if the types you get isn’t a noise canceling headphones, the ear cup or cushion still plays a role to stop external noise from your ears. On-ear headphones are the other option for you to consider. Especially If you don’t prefer the large design of over the ear headphones. It as well comes with foam around the ear. Before you buy one, try them. Sometimes they are comfortable, but sometimes they are horribly uncomfortable. The ear cup on the headphones tends to absorb sweat. They get stinky over time and that as well depends on the material it is made of. In-ear headphones are also referred to as ear-buds. Practically, most of the modern day mobile phones come with a pair in the box. It is the standard type of headphone you will see in the market today, and. These are well for those who do not like big cups on the ears. Especially for runners but also for people at work (me :-). When you are choosing one, take care of the design. Time ago, when I was run out of money, I chose cheap ear-buds. They did not fit in my ears and it was really painful to wear them. 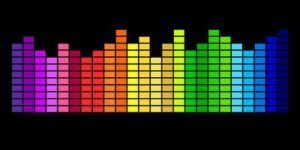 Frequency range is also known as a summary of the terms of bass, mids, and treble. Most buyers don’t consider this, but it determines the sound quality from your headphones as well. Headphones with the impedance lower than 50 ohms (usually 32 ohms) are suitable for daily using. Especially on-the-go with your laptops, mobiles etc. As lower impedance as higher volume but less sound quality (sensitivity of the speakers). Headphones with a higher impedance above 50 ohms demand more power to hear them. As higher impedance as better sound quality (sensitivity of the speakers). Better sound quality is rebalanced by lower volume. If you are going for a lower impedance headphone, note that you will have a lower sensitivity to sound. But you will be able to increase the volume while with higher impedance; the sensitivity is high but with lower volume. There are two basic types of headphones connections, the wired and the wireless. In this modern days, people choose to go for wireless headphones. They are safe and comfortable to use and thus better than some wired headphones because of its portability. On the other hand, wired are used for their better sound quality. Cables are better able to transfer the signal speakers need to create good sound. So the wireless headphones are good for those who want to be free from the device, like runners, travelers and so on. I don’t have to deal with cables while running. Most times the headphones get unplugged unintentionally due to the movement of my hands. That isn’t the case with wireless headphones. You also need to take into consideration using a battery. Watch the battery time (varies from 10 hrs to 40 hrs) and also charging time. Wired headphones are good for people who are interesting in good sound quality. Audiophiles are not the only one who wants to listen to good quality reproduction. It is one of the features most people look out for today in the headphone market. 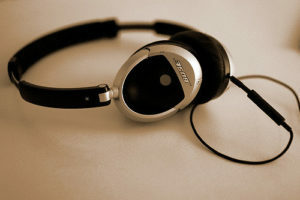 There are two types of noise canceling such as the passive and the active noise canceling headphones. Both have the same goal but different means of operation. Passive: the passive noise canceling headphones feature ear cup or cushion designed to cover the whole ear and eliminate or prevent noise from the surroundings. 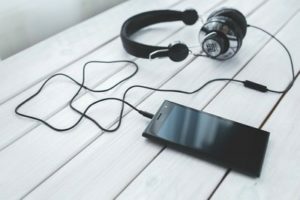 Active noise reduction: it is entirely different from passive as there is a counteracting sound wave produced in your headphone directed to your ear to eliminate noise. With passive noise canceling headphone, you might still get not satisfied because it doesn’t get rid of noise especially when you find yourself in places like on the train or airplane. But with active noise canceling headphones, it sends you straight to another world the very moment you press the button on your headphones as it will effectively eliminate noise so that you can enjoy your music. Of what use is the headphone that you can’t use for a more extended period? However, what might look comfortable for me might not be for some other people, as our heads differ. Therefore, the choice is yours to make. But for me, I prefer the over the ear headphone because it is well-padded with foam to ensure users are comfortable while they have it on their ears. You should never substitute comfort for anything and do ensure you consider your comfort and the time you will always have the headphones on your ears. The whole idea behind getting headphones is to get the best sound while listening to music. 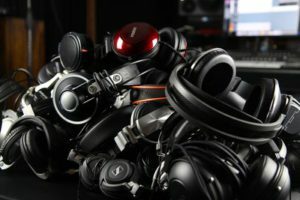 Considering this, all the factors listed above such as the frequency and the impedance will help you in choosing the best headphones with high-quality output. I suggest you save up to get better headphones instead of cheaper one that you will still have to dispose of. Consider going for products from some of the best brands in the industry, read reviews of the products and check out the things discussed in this article before making any purchase.